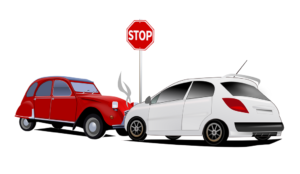 Have you been involved in an Auto Accident in the Cary, Apex, Raleigh, or Morrisville area? Regardless of current pain or symptoms, or the intensity of the car accident you must get your spine checked for structural problems caused by the impact your body took from the accident. You may not have symptoms now but it is very common to pay the price down the road due to damage caused now. Minor injuries today can affect your body overtime. If you are already experiencing symptoms from your car accident then you must be seen immediately. Call us today, 919-535-3091. A consultation with Dr. Sandez is provided free of charge. No medical referral is necessary and new patients are seen the same day or within 24 hours. All necessary testing will be done in our office in the Cary – Morrisville section of the Research Triangle area, or we will send you to the right place if needed. If you need Chiropractic care we will provide it specifically for your conditions. If you need any legal advice, we can recommend quality attorneys. If you already have an attorney representing you we can work with him/her on your case. If you do not wish to use an attorney for your case, we can work directly with the insurance company. We will file all insurance claims forms for you, AUTO ACCIDENT INJURIES ARE USUALLY COVERED 100% BY INSURANCE. When problems in spinal alignment occur due to a trauma like an auto accident they must be taken care of. Over time these problems often become worse when untreated. If you have been injured in a car accident in the Cary, Morrisville, Raleigh, Apex, Garner, Holly Springs, Clayton, and from further away in Durham, Chapel Hill, Sanford, Fayetteville and surrounding areas and are wondering if chiropractic care can help, please Contact Us, Book an Appointment, or give our office a call at (919) 535-3091.